Crisp beers are lighter, cleaner in flavor, and crisply refreshing. They range in color from straw to amber, have low to medium abvs, and are light to medium in body. Delicate fruit: While not particularly malty or hoppy, these styles show a bit of fruit flavor—like green apple, berries or pear—from the employment of ale yeast. Malt-accented: Lacking the fruit and spice aromatics of most ales and showcasing a much milder hop profile than Pilsners, these brews demonstrate a full bready, almost biscuity, malt flavor in addition to their crisp dispositions. Brisk hoppiness: A more emphatic hop regiment, typically employing German and Czech-grown hops (often referred to as Noble hops), results in crisp and refreshing brews that are drier and snappier in the finish, with spicy, herbal, and floral aromas abounding. These brews are all about the delicious aromas and pronounced bitterness derived from generous additions of hops. Though typically endowed with some malt richness, hops in these brews will always provide the most intense flavor contribution. 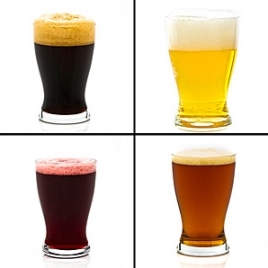 These beers range from medium to full bodied, yellow to brown in color, and low to high abvs. Earthy and dry: Lighter and drier malt profiles along with earthy, hay-like, grassy, and woody hop flavors serve to define the character of these brews. Malty backbone: While judiciously hopped, these beers have a fuller malt profile and body, often adding fruity flavors and a degree of caramel. The flavor balance still leans heavily toward the hops, which are highly aromatic and suggestive of pine and tropical fruit. Bold, herbal and citric: The milder malt character and the heavy use of intensely flavorful hops leads to brews that are brimming with hop-driven notes of citrus, resin and tropical fruit. Malt-driven flavors dominate the flavor profiles of these brews; in each, expect a degree of sweetness and deep malty notes of nuts, toffee, caramel, toast, and fruit. 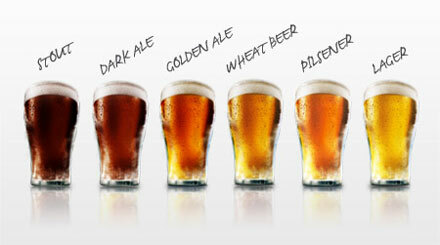 These beers range from copper to dark brown in color, from light to full bodied, and low to high in abv. Toasty and nutty: These brews tend to combine a mildly crisp quality with full bready malt flavors; think biscuity, nutty and toasty accents. Stronger versions can show a touch of caramel, while the biggest begin to display raisin and fig nuances. Fruit and toffee: In addition to a solid malt backbone, these brews possess mildly fruity aromas; caramelized, toffeeish flavors are layered with notes of dried fruit, red delicious apples, oranges, and plums. These brews employ highly roasted malts grains for coffee and cocoa flavors, rich mouthfeels, and very dark appearances. 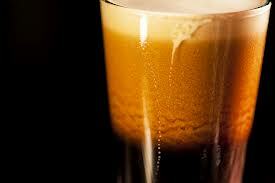 They can be medium-light to full bodied, from deep copper to black in color, and low to high in abv. Soft and silky: Though these brews tend to be dark and malty rich, they do not show intensely roasted qualities; the profiles gravitate toward milk chocolate, hazelnut and latte. More intense styles exhibit dark fruit nuances. Dark and dry: The roastiest and driest of the dark brews; notes of burnt grain, tar, dark chocolate and espresso predominate. Fruit flavors emerge in the strongest versions, including plums, cherries, raspberries, and prunes. Brews that incorporate malts smoked over various wood fires, or aged in Single Malt Scotch Whisky oak barrels. These beers range from medium-light to full bodied, can be deep amber to dark brown in color, and may be medium to medium high in abv. They are typically milder brews, were it not for the often dramatic smoky flavors. Subdued smolder: The smoked flavor is more subtle for styles within in this category; prevalent toasty and/or roasty malt flavors balance against the woody, peaty, or spicy smoked notes. Spicy and meaty: Heavily smoked, sausage-like flavors are the calling card of these beers. Bonfire aromas overlay a range of subtler flavors, from biscuity malt to bananas, nutmeg, and clove, to raisins, toffee and nuts. The flavor profiles of these beers are most notable for the bold fruit and spice flavors they possess; fruits and spices are sometimes added to further accentuate such flavors. These brews may be sweet, semi-dry, or dry, but are never overtly bitter. Abv ranges from low to high, body is low to high and color ranges from golden to dark brown. Bright: Expect brighter fruit qualities from these styles, like apple, pear, peach, orange, lemon, banana, and apricot. Bubblegum is apparent in some cases as well as the following spices: clove, pepper, vanilla, and coriander. Stronger versions show malt notes of toffee, caramel and toast. Dark: Expect darker fruit qualities from these styles, like fig, raspberry, prune, raisin, cherry, plum and strawberries; some are downright vinous, sharing aromatics akin to red wine. Spicy aromatics arrive in the guise of clove, pepper, rose, nutmeg, cinnamon, and even a hint of smoke in some cases. Malt flavors manifest themselves with chocolate, caramel and nutty notes. These are the sour brews that show rustic, earthy and winey notes. Some are rather light and elegantly acidic; some are darker and vinous, while others are exceedingly funky and sour. They can be light to medium-full bodied, range in color from straw to dark brown, and may be extremely low in alcohol or even quite strong. Delicate: Mild acidity, paler malts, and lighter bodies make these refreshing and crisp. They are characterized by being softly tart, brightly fruity (lemon, orange) and lacking a prominently funky character. Fruity and vinous: The most wine-like of all of the Tart & Funky brews. 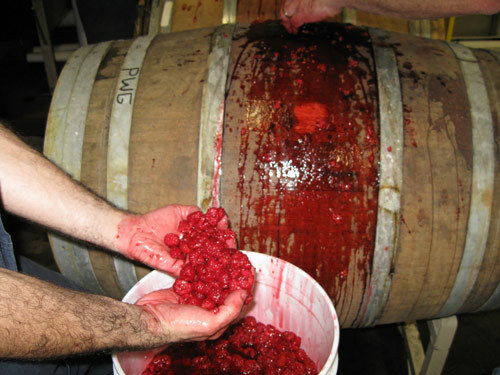 Pronounced acidity is coupled with fruity aromatics (cherry, raspberry, and black currants), sometimes resulting from an actual addition of fruit. Many exhibit caramelized, vanilla, toffee, and toasty flavors due to oak aging. 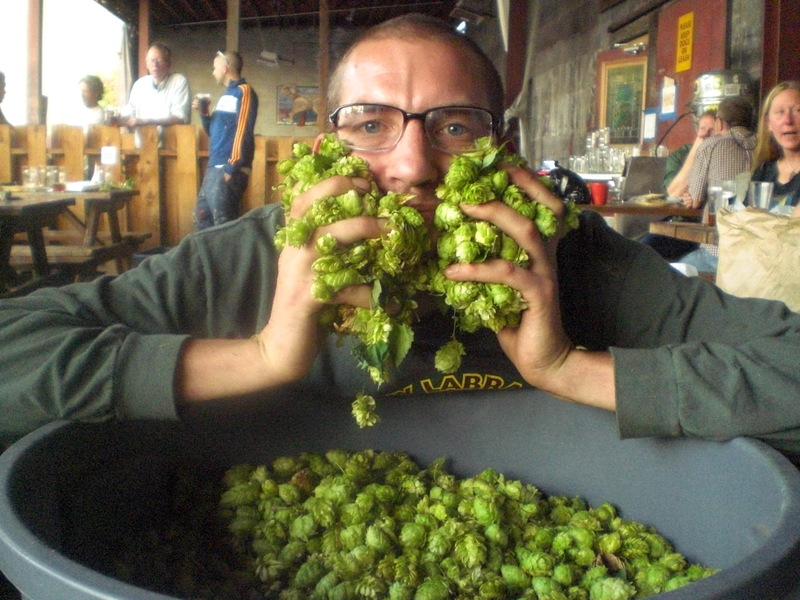 Earthy: Typically quite sour and funky, and sometimes aged in oak barrels, these brews possess intensely rustic qualities; many show horsey, farmy, earthy, barnyardy, and leathery notes. Milder fruit notes may occur, and are redolent of peaches, strawberries, apricots and grapes. We hope that this article helps you begin your beer suggesting journey. Stay tuned to PART 2: BEER STYLES and FLAVORS… coming next! 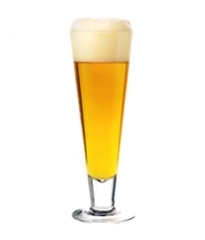 To read Part 2: Beer Styles, Flavors, and Examples, click HERE. To read Part 3: Beer Charts and Flavor Wheels, click HERE.